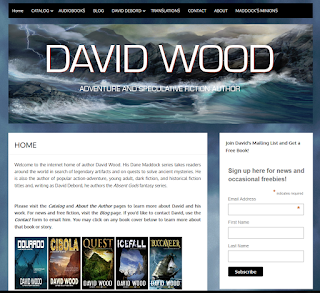 If I were starting my indie publishing journey today, the first thing I would do (aside from writing, of course) would be to set up a mailing list for my newsletter. I think they're critical for the successful indie author and helpful for traditionally-published authors as well. Active engagement with your readership. The means to reach readers without relying on Amazon or other distributors. A nice sales boost on release day, which can help you gain visibility on bestseller charts and "Also Boughts." -MailChimp is popular with indies who are just starting out because its "Forever Free" plan is free until you reach 2,000 subscribers. Once you exceed that threshold, you must switch over to a monthly plan. -Mailer Lite is free for the first 1,000 subscribers. The price then goes up to $10 a month, and then goes up another $10 when you hit 5,000, 10,000 and so on. -AWeber is significantly more expensive. The cost is $19 a month for the first 500 subscribers, jumps to $29 a month, then to $49 a month at 2,500, $69 a month at 5,000, and a whopping $149 a month at 10,000. Users who like AWeber praise its thorough data reports, large selection of templates, quality customer care, and other features. I like MailChimp. It wasn't too difficult to set up and use, and there are plenty of tutorials on YouTube to help you through. I'm not quite at 2,000 subscribers, but at my current level, the monthly fees won't be prohibitive. If I were starting out, though, I'd definitely give consideration to Mailer Lite. If you set up your newsletter using an email from somewhere like Yahoo or Gmail, it's likely to be filtered out as spam on many servers, and your readers won't see it. 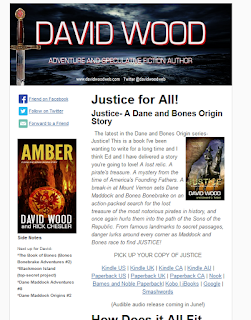 My newsletter, for example, is sent from an @davidwoodweb.com address. Give newsletter readers something free as a reward for subscribing. I give away a free ebook to my subscribers. The link to the free book comes in the automated "Welcome" email a subscriber receives after confirming her/his subscription. This free book is -not- one of my "perma-free" books that's available on various ebook retailers. You don't want to insult your readers by offering a free ebook with subscription, and then giving them a book they could have gotten for free elsewhere. I chose a book that isn't among my bestsellers, but is a good book and gives the reader a good feel for most of my other titles, but you don't have to give away a book. When I had only a few titles to choose from, I gave away an interview with the main characters of my most popular series. Later I changed it to a free short story. A free book is great, but what's most important is that it's a free reward, and it's something subscribers can't get for free (or at all) anywhere else. For giving away a free ebook, Bookfunnel is an amazing, easy-to-use, service that automates the process. The cost for one author is $20 a year. If you don't feel you're at that point yet, you can do something as simple as uploading a pdf to your website and sharing the media link. *When you set up your mailing list, one of the things you will set up is a "Welcome" email. A reader subscribes to your newsletter, then receives a "Click to Confirm" email. Once they click to confirm, they receive a "Welcome" email. This is where you will put the link to the free ebook. My "Welcome" email is short and simple. It's basically "Thanks for subscribing" and "Click here to receive your free ebook." This is essential. Put the invitation to subscribe immediately after "The End." Don't put it after a page break because when the reader swipes past "The End" in certain ebooks (Kindle, in particular) a new page opens advertising other books. Therefore, they might not see your invitation if you don't put it on the last page of your book. Some authors choose to also put the invitation at the beginning of the book. Unfortunately, Kindle books tend to open directly to the Prologue or Chapter 1, so the reader won't see that invite unless (s)he swipes backward. There's no harm in also putting the invite up front but I don't know how many readers will see it. Make it easy to find on your website. On my website, it appears in a small box on the sidebar of every page. It's unobtrusive, but easy to see. I also have a pop-up invitation that appears when someone visits my website. It shows up once, and once it is closed, doesn't appear again. This is particularly helpful for visitors using mobile devices. Otherwise, the mailing list invite isn't so noticeable. MailChimp (and probably the other services) provides a simple html code to enable the popup. With a Facebook author page, you can enable an "Email Signup" tab that lets you add a subscription form. -An upcoming sale, a teaser, something I want to call attention to, or a short message/reflection/essay/article. The sidebar contains a small "What's Coming Up" text box with a few bullet points to hopefully pique readers' interest. I also include a few images of book covers, usually ones I want to call attention to, with little or no accompanying text. Overall, keep your newsletter clean, easy to read, and keep all the sections short enough that readers don't feel overwhelmed. 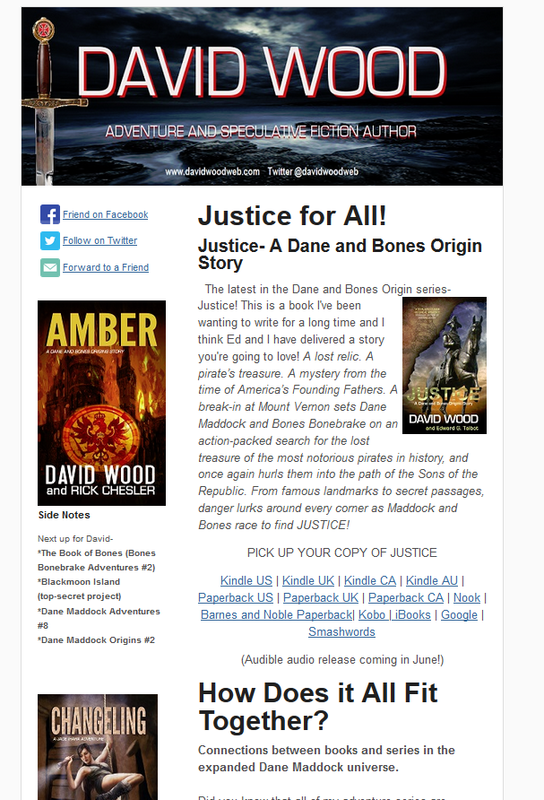 I send out a newsletter when I release a new book. Because I work with co-authors, this means I'm typically sending out six newsletters a year. Some authors choose to send one a month. I find that "open" rates decline sharply if I'm not announcing a new release. I like to give something away with every newsletter. Usually it's a signed book. 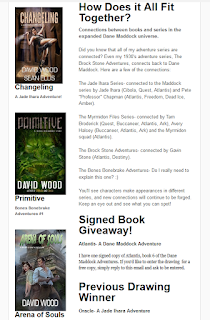 With each newsletter, I include a "Signed Book Giveaway" section at the bottom. I tell what book I'm giving away and ask that they simply reply to this email with the note "Please enter me in the giveaway." When the next newsletter comes out, I announce the previous winner and ask him/her to let me know where to send it.On occasion, I'll offer a free download code from Smashwords or a limited number of audiobooks from Audible, using the free codes ACX provides. These don't get nearly the engagement that signed books do, but it's still a free reward to subscribers. 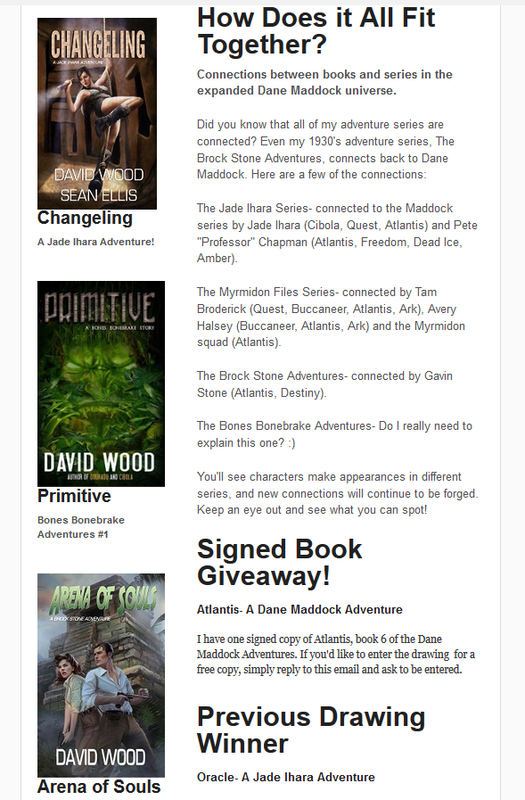 I only give away one book per newsletter and sometimes it's the same book for several months in a row. What matters is that I'm giving them something free that non-subscribers can't get. Also, a single paperback doesn't cost much to mail, especially with USPS's "media mail" option. Some authors simply choose the winner from their entire list rather than having readers reply to enter. I prefer replies because it increases engagement and rewards the readers who actually read my newsletter. Your service provider will give you results from your email campaigns, such as how many subscribers opened a given newsletter and how many clicked on a link contained within. "Open rates" and "click rates" don't tell the whole story, but pay attention to them. Do you get significantly better results on a certain day of the week or a given time of day? You can even segment your list, sending it out in sections, in order to compare times of day. For example, one very successful author in my network has found that Saturdays and Sundays are the worst days for her list. She also gets maximum results from her list by sending one segment to her less-engaged readers in the early afternoon, and hitting her most engaged readers in the evening. Of course, every author and audience will be different, so find out what works for you and yours. If results of a given newsletter are subpar, consider all the factors. Look at the subject line in the header. Was it compelling? What sort of content did you include? Were your entries too long? Were you promoting a series that's less popular? Was the date and time of day a factor? Analyzing results, whether it's newsletter opens, book sales, ad views, or many other things, is important for indie success. -Immediately prior to sending out a newsletter, make an announcement through your social media that the newsletter is coming up and mention exclusive content. "Next newsletter comes out Tuesday. Subscribe for a chance to be entered in exclusive signed book giveaways." -As mentioned above, include the invite in your ebooks and on your website and Facebook page. When should I set up my mailing list? Do it now! If you haven't yet published your first book, go ahead and set it up so that you may include the invitation to subscribe when you publish your book. You'll have to figure that out for yourself and your audience, but once a month or even less frequently is my recommendation. What if I can't write more than one book a year? In that case, I'd send something out in between, maybe every four or six months. Be sure to make it engaging. Give an update on the work in-progress, share a little something you've learned in your research, maybe a little bit about you, give away a short story or a signed book. Keep it short, interesting, and reader-focused. Should I set up an auto-responder on Twitter so that, when someone follows me, they immediately receive a direct message inviting them to join my mailing list? Sure. Twitter is most effective for engaging with other people. It can be a great place to connect with other authors, and sometimes with readers, but it's not an advertising platform. Your first contact with someone shouldn't be an advertisement, and direct messages to someone you don't know are seldom well-received. Don't be that guy (or girl). Do I have to send everything on the same day? Not necessarily. Because Amazon rankings take into account sales from previous days, some authors, especially those with large mailing lists, like to segment their list and sent the newsletter out over a period of two or three days in order to avoid the "spike and plummet" that sometimes comes with a single newsletter blast. Should I periodically cull my list, removing my "least engaged" subscribers? Probably not. 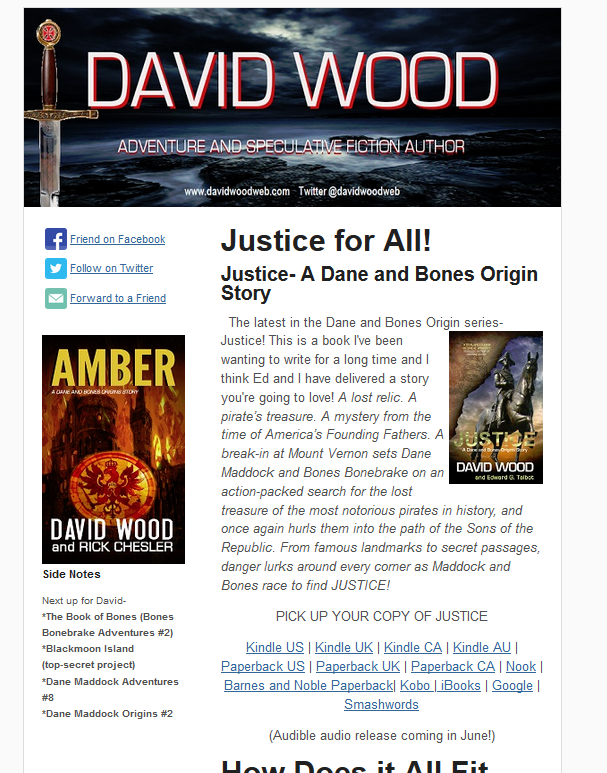 Some readers see the newsletter in their inbox and immediately click over to their preferred store to buy your new book. They don't necessarily read the newsletter. Other readers open your newsletter in mobile, or don't enable images in their email, which can cause the newsletter to show as not having been opened. I don't think it's worth the risk of cutting out readers who are buying your books. Will some readers sign up for my list just to get the free ebook and then never buy one of my books? Some will, but those people weren't going to buy your books anyway. Don't worry about them. My mailing list provider offers a url so people who aren't on my mailing list can view the newsletter. Should I make use of that feature? I don't think so. It a disincentive to sign up for your mailing list and makes your exclusive newsletter content non-exclusive. If people choose not to sign up for your mailing list because they know they can see the newsletter online, you've lost an opportunity for active engagement with that reader.